They generate almost no heat and come in cool white and warm white. The Single SMD LEDs output light in a single hot spot. 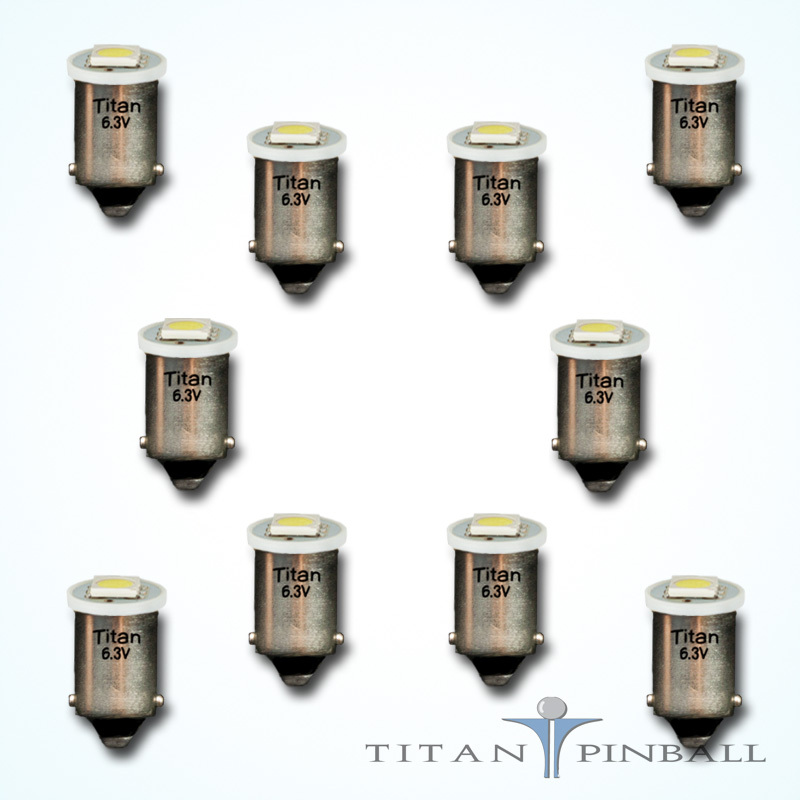 Single SMD LED are ideal for general use and work best when used somewhere the light is diffused. 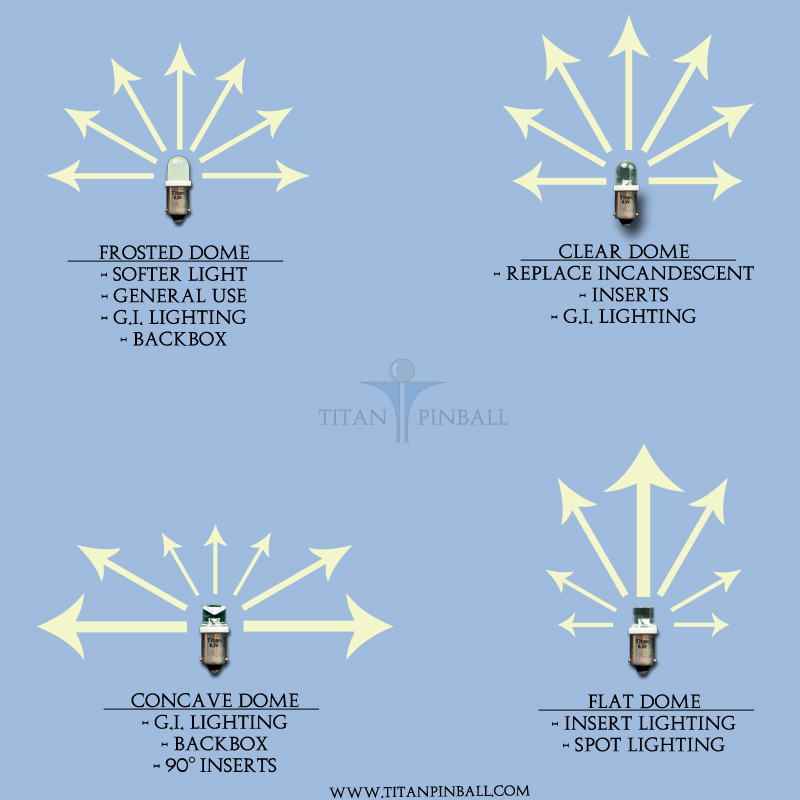 These are a great option for all the miscellaneous areas of a pinball machine such as coin door, under playfield, credit light, etc. 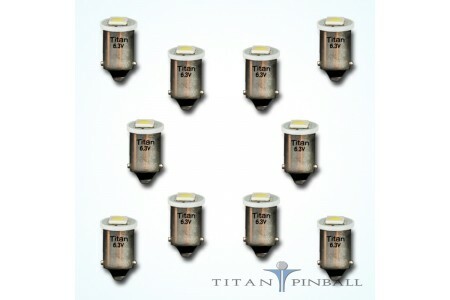 Replace your incandescent flasher bulbs with these super bright, 13 volt AC/DC flashers!Available in..